When their daughter Rosie was born, Eric and Stephani Lohman found themselves thrust into a situation they were not prepared for. Born intersex - a term that describes people who are born with a variety of physical characteristics that do not fit neatly into traditional conceptions about male and female bodies - Rosie's parents were pressured to consent to normalizing surgery on Rosie, without being offered any alternatives despite their concerns. 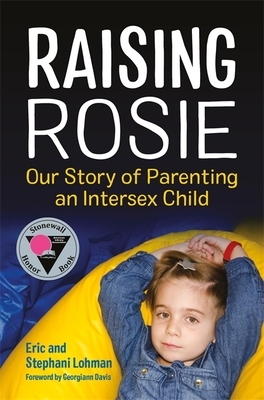 Part memoir, part guidebook, this powerful book tells the authors' experience of refusing to have Rosie operated on and how they raised a child who is intersex. The book looks at how they spoke about the condition to friends and family, to Rosie's teachers and caregivers, and shows how they plan on explaining it to Rosie when she is older. This uplifting and empowering story is a must read for all parents of intersex children. Eric Lohman, has a PhD. in Media Studies and is lecturer and researcher at the University of Wisconsin-Milwaukee, focusing on gender, race, and class in the mass media.Stephani Lohman, BS, BScN. works as an infection prevention nurse, and has degrees in chemistry, biology, and nursing. She's worked in health care and sciences for 10 years.